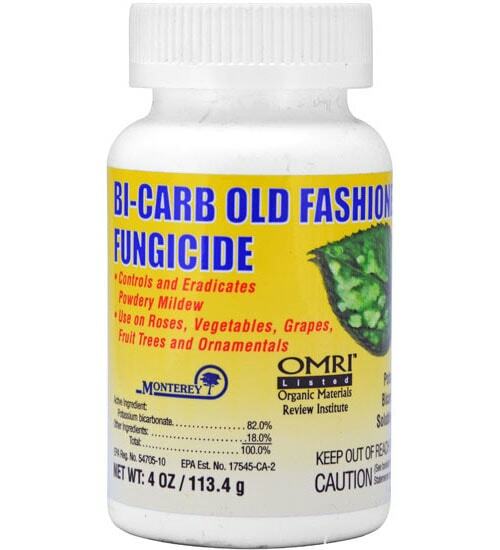 Controls and eradicates powdery mildew. Monterey Bi-Carb is a fungicide containing micro-encapsulated potassium bicarbonate as the active ingredient (baking soda). 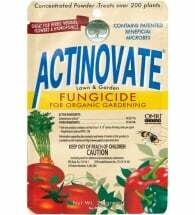 A contact fungicide, it disrupts the potassium ion balance in the fungus cell causing the cell walls to collapse. 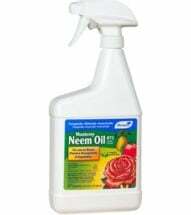 Use on roses, vegetables, grapes, fruit trees and ornamentals. OMRI Listed for use in organic production. 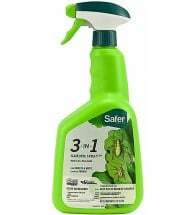 Apply with a hand-held sprayer making sure to spray foliage thoroughly. Contact of the disease organisms is essential for control. 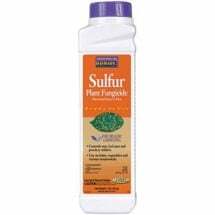 Mix 4 tsps in 2 gallons of water to thoroughly cover foliage. For lawn applications, mix 4 tsp in 2 gallons of water to cover 1,000 square feet.